Joel was born an artist. The creativity he brings to our agency is unmatched. 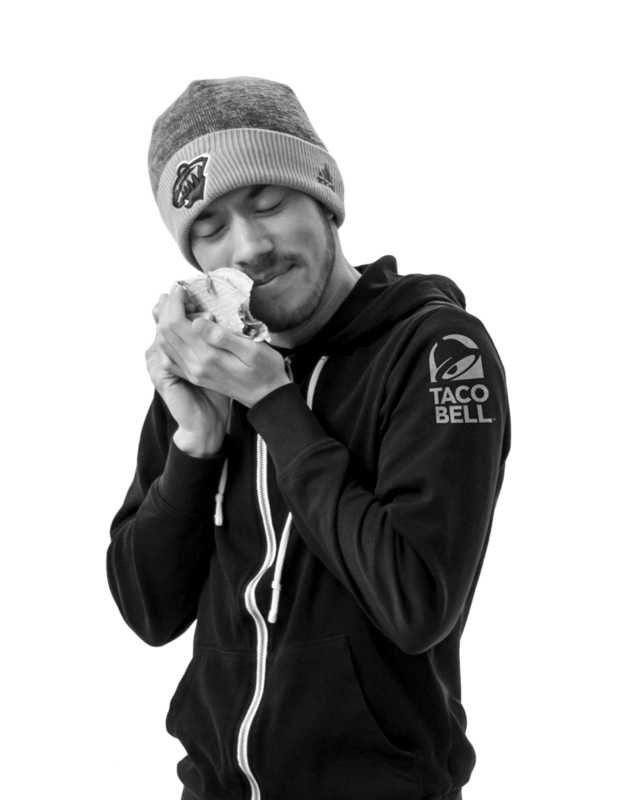 A long-time Taco Bell lover, Joel designs stunning visual concepts for our clients' digital, print, and video projects. He backs that creativity with a B.S. in Graphic Design from Huntington University. He is also an artist outside of work, and you may have seen his one-of-a-kind tape art in local coffee shops around town. On the weekends you can find him playing hockey with his friends, or watching Marvel movies. Wakanda forever! I don't know if it's ridiculous, but Taco Bell is better than Taco John's!